Subtitle: "Speak to us smooth illusions" [Isaiah 30:10] is the desire of too many pastors, while Jesus is lamenting, "You did not know the time of your visitation" [Luke 19:44] Too many pastors refuse to believe that the unparalleled deception foretold in Matthew 24:24 really applies to today's events and leaders. Jesus gave His disciples the signs by which they would know the appearance of Antichrist was near, thus beginning the End of the Age. Most Christians have been misled at this point, and need to understand the truth if they are to be properly prepared for the distresses just ahead of all mankind. Matthew 24 -- Synopsis -- Jesus' disciples had just pointed out to Him the beauty and magnificence of the wonderful Temple Herod was re-building, when Jesus turned around and uttered a most horrible prophecy: "See ye not all these things? verily I say unto you, There shall not be left here one stone upon another, that shall not be thrown down." When we properly understand the import of the signs by which we can know the End of the Age is approaching, we will be much better prepared when the events begin to break over our heads. However, before we review these signs, we need to understand the context into which Jesus placed these signs. This context is found in verse 8: "All these are the beginning of sorrows." This word is Strong's Number, 'G5604', which really means the "pangs of childbirth". The Amplified Bible Commentary renders the verse correctly and with proper emphasis: "All this is but the beginning the early pains of the birth pangs of the intolerable anguish." So, the beginning of these multiple signs heralds the beginning of a birth process; someone or some thing is to be born on to the world scene; he is to appear! But, whom? We get this answer in verse 15, when Jesus is suddenly speaking of the prophecy in Daniel 9:27, 11:31, and 12:11. This prophecy states that the Antichrist will walk into Holy of Holies in the Temple at the mid-point of the 7-year Tribulation Period for the express purpose of desolating it, and causing extreme offense to God. 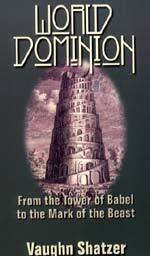 Daniel calls this act the "abomination that makes desolate"; scholars have called it "The Abomination of Desolation". Therefore, the "baby" to be "born" is the Antichrist. But, wait, there is another "baby" born in these verses! When Jesus suddenly starts talking of the Antichrist committing the Abomination of Desolation in the Holy of Holies in the Temple, all sorts of red lights should begin flashing, but thanks to the terrible teaching of traditional Bible teachers, these red lights are no where to be found. In Matthew 24:1-2, Jesus foretells the destruction of the Temple Herod was rebuilding; in verse 3, the disciples correctly understand that the destruction of the Temple heralds the destruction of the nation, Israel. Indeed, both destructions were carried out in 70 A.D. Yet, Jesus is suddenly speaking of Antichrist desecrating the Holy of Holies! Therefore, the nation, Israel, must have been reborn by this time, and the Third Temple rebuilt; otherwise, Antichrist would not be able to offend God by desecrating the Holy of Holies inside the Temple! We have another "baby" being born here -- Israel! And, sometime before Antichrist goes into the Holy of Holies at Day 1,260 of the Tribulation Period, the Temple has to have been rebuilt. THEREFORE: the signs, the "birth pangs" Jesus listed in Matthew 24 will give birth to two babies: the nation of Israel and Antichrist. Let us examine these birth pangs, and then we shall see how the baby of Israel was born exactly in accordance with these signs, these birth pangs. Jesus listed the following birth pangs as the multiple signs by which believers would know the End of the Age is close. However, this unparalleled deception also includes political leaders! Jesus warned that "False Christs" shall also appear to deceive many. This term is part of the Jewish Messianic prophetic understanding. "Christ" is the political office which Messiah will fulfill. Thus, Jesus is the Messiah fulfilling the office of "The Christ". For this reason, Jesus is referred to properly as "Jesus the Christ" once in the New Testament [Matthew 16:20]. Thus, people today should expect unparalleld deception from their political leaders! We should not be too surprised when our current President is a member of a Satanic secret society called "Skull & Bones", even as he is professing to be a Born Again Christian! False Messiah Figures [vs 5]; the 20th Century has seen the appearance of so many Messiah-type figures as to stagger the imagination. Famines and earthquakes occurring all over the globe -- once again, this is an idiomatic phrase meaning that famines and earthquakes will occur simultaneously in different parts of the globe [vs 7]. Contrary to what the U.S. Geological Service says, earthquakes are occurring more regularly now, and with greater average intensity. The denial of the Geological Service on this fact sounds an awful lot like the End of the Age prophecy as to what wicked man will be saying when confronted by Biblical End Time signs, "Where is the promise of his coming? for since the fathers fell asleep, all things continue as they were from the beginning of the creation." [2 Peter 3:4] The Geological Service would have you believe that "all things continue as they were from the beginning of the creation", trying to mask the truth that earthquakes are a lot more common and more intense, than ever before. When one examines the process of the birth of Israel from the first Zionist Congress in 1897 to its birth in 1948, you can easily see how this birth fulfilled the Birth Pangs prophecy, above. Let us take a cursory examination of the historic record. Let us begin by discussing the unprecedented historical miracle of Israel's rebirth. God began to throw the Jews out of their nation with the invasion of King Nebuchadnezzar of Babylon in 602 B.C. The Jews never really governed themselves as an independent state from that time forward, even though the Greeks and the Romans allowed Israel limited self-government. However, Rome's patience for the Jews was put to the test continually by their repeated rebellion. Roman patience was finally exhausted in A.D. 66, when the Jews rose in unprecedented revolt. At first, the Jewish army took over part of Palestine, including Jerusalem. Rome's military response was also unprecedented, as it sent an immense force against Jerusalem. Their siege lasted for over three years. In A.D. 70, the Roman Army finally conquered Jerusalem. Roman leadership was determined to finally rid themselves of the perennially rebellious Jewish nation. Therefore, they slaughtered untold numbers of people and began to systematically force the Jews out of Israel and into the nations which surrounded her. In doing so, they fulfilled God's many warnings that He would punish Israel in just this way if they continued to sin against His commandments. We will study these prophecies in a few moments. Historical fact records that Israel was out of her land for the next 1,900 years. Israel's land was controlled by a succession of Gentile powers during that long period of time. At this point, Israel should never have been expected to gain her land back, because no people who had ever been out their land for several hundred years had ever regained it. But, Bible scholars who read the Bible literally consistently insisted, on the authority of God's Word, that Israel would be restored back to her land. In fact, there were scholars who maintained that the countdown to the End of the Age could not actually begin until National Israel was reestablished. And, against all historic odds, Israel was reborn in one day in May, 1948. Since then, she has fought several wars for her survival, against incredible odds. The rebirth of Israel in 1948 was truly an historically unprecedented miracle of God, accomplished against all historic odds. But, we should not have been surprised, because God foretold in many places in both the Old and New Testaments that He would tear Israel out her land if she refused to obey His commandments. But, then God would repeatedly turn around and promise national restoration. "I say then, Hath God cast away His people? God forbid ...God hath not cast away His people which He foreknew..." Paul was very clear in saying that, even though Israel had sinned greatly and repeatedly, God had not cast them aside as His Chosen People. When we look back at God's covenant with Abraham, we see why God could not cast aside Israel and still be true to His eternal, unchanging Nature. In Genesis 17:7-8, God explains His covenant with Abram, now renamed Abraham. God promised, "I will establish My covenant between Me and thee and thy seed after thee in their generations for an everlasting covenant..." God then repeats this commitment to an everlasting covenant in verse 8. Notice God stated that His covenant is with Abraham and his "seed". This word, "seed" most definitely refers to those physical descendants which will follow Abraham, to the nation Israel which grew out of Abraham's descendants. Further, God stated that this covenant will be an "everlasting" covenant. The word, "everlasting" literally means, "forever" or "eternal." In other words, God could not end this physical covenant with Abraham's descendants without violating His unchanging Nature. God simply had to ensure that this National Covenant stood for eternity. Notice, also, that this covenant with Abraham was unconditional. Even if the Jews which were to live after Abraham were to rebel against God, this covenant would stand. In contrast, the Law, covenanted with Moses, was destined from the beginning to be abolished once the New Covenant of Jesus Christ was established. This is one of the great themes of the writer to the Hebrews. In Ezekiel 20:40-44, God specifically addresses the return to Him after He has finished punishing Israel. In verse 44, God says a very interesting thing: He says that He will restore Israel "for My name's sake". He reiterates this truth in Ezekiel 36:21-22. 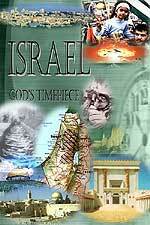 God very explicitly tells Israel why He is planning to restore her to her land. He plainly says, "But I had pity (or concern) for mine holy name...say to the house of Israel...I do not (do) this for your sakes, O house of Israel, but for mine holy name's sake...And I will sanctify My great name..."
You see, God's Holy Name is forever on line here; if He will not or cannot return Israel back to her land after causing her destruction, He is not God. His Name and His reputation will be scarred forever. As the events of war and terrible national trial foretold of Israel in the Tribulation Period begin to unfold, you can rest assured she will not ever be destroyed. God promised it, in Amos 9:15, "I will plant them upon their land, and they shall no more be torn up out of their land, which I gave them, says the Lord your God." Or, look at Obadiah 17, "But on Mount Zion [in Jerusalem] there shall be deliverance [for those who escape], and it shall be holy; and the house of Jacob shall possess her former possessions." Even though Israel will take heavy casualties, and Jerusalem devastated, God promises the end result to be "holiness for Mount Zion [where the offensive Dome of Rock now sits] and that Israel shall possess her former possessions; this promise means that all the land God promised to Abraham shall be restored to Jewish control. This land includes all of Lebanon, most of Syria, two-thirds of Jordan, and the Negev Desert, right up to the Suez Canal. But, now let us quickly examine how the historic way in which Israel was restored to her land fulfills this prophecy of Matthew 24 precisely. When the first Zionist Conference was held in 1897, in Basel, Switzerland, for the express purpose of beginning an organized and concerted effort to return significant Jews back to Israel, the prospects seemed bleak, indeed. The entire region was tightly controlled by the Turkish Ottoman Empire, whose rulers would most definitely not look with kindness on the return of Jews to their homeland, and to the restoration of the nation of Israel. Nevertheless, the Jewish delegates to this conference felt a unique heavy hand upon them, propelling them forward. This conference ended with a commitment of influential and wealthy Jews to begin funding a return of individual Jews back to their Promised Land. And return they did, in the hundreds at first and then by the thousands, and then by the tens of thousands. From the beginning, the quiet, invisible spiritual direction leading Israel back to her land was NOT traditional Judaism, and it certainly was not Christian; rather, the spiritual leadership was Illuminist! The Rothschild family took early leadership in this crucial struggle, and provided the immense funding necessary for Jewish immigrants to buy land back from the Arabs once they settled in Israel. No Jewish settler ever understand this fact; they were totally deceived. In the first decade of the 1900's, storm clouds were forming on the European horizon, as ethnic groups all throughout Europe and Eastern Europe begin to make demands that would soon culminate in World War I. The causes of World War I were several: the continuing instability of the Balkan Peninsular region (Austrian annexation of Bosnia and Herzegovina, 1908); Balkan Wars (1912-13); and the gradual collapse of the Ottoman Empire. As much promise as the collapse of the Ottoman Empire created throughout Europe and the Middle East, it also weakened the Turkish control over the region, allowing the planned Jewish influx to continue and to flourish. As the storm clouds grew, so did the pressure upon the Jews living in Europe, and thousands began to flee persecution, seemingly being driven to the Promised Land. Even though many Arabs living there complained and even carried out some physical reprisals, the fact is that when the Jews arrived, they came with enough money from wealthy Jews in Britain, America and Europe, so they could began to buy back the Holy Land, parcel by parcel. Remember our discussion, above, of this idiomatic phrase the Lord used? This phrase literally describes a war in which the fighting is begun by two smaller nations, but where each side is quickly reinforced by allies, thus resulting in a far wider, and more devastating war. This is exactly how World War I began! The spark that touched off WW I was the assassination of Austrian Archduke Ferdinand by a Serbian nationalist in 1914. The war quickly spread to many different fronts and eventually involved all the major Western powers. Quickly, the war formalized between the Allies (France, Britain, Russia, Italy, US) and the Central Powers (Germany, Austro-Hungarian Empire, Ottoman Empire). The war was concluded in November 11, 1918, at 11:00 a.m. [note the occult practice of grouping together important numbers, in this case the most important number, '11', three times? World War I ended on the 11th month of the year, the 11th day of the month, and the 11th hour of the day. This historic fact firmly places the occult stamp of the Illuminati on this war]. Albert Pike would have been pleased, for the First World War had occurred just as his demonic vision of 1870 had foreseen [Read NEWS1056 for full details]. The aftermath of this war was huge. Over 30 million people died during the fighting, and millions more died from famine and various illnesses both during the fighting and afterward. Much of Europe was in ruins, the Czarist Government of Russia fell in 1917, and was replaced from the Illuminist Government from Hell, Communism. Earthquake in this decade saw a significant jump upward. But, most importantly, Britain felt that it was uniquely aided by a Jewish British citizen, the brilliant chemist and Zionist leader, Chaim Weizmann, for his help in the war effort when he developed a process to synthesize acetone, an ingredient necessary for producing the explosives that were in extremely short supply. Further, Britain wanted to establish a Jewish nation in the Middle East, as a method of keeping the Ottoman Empire at arms length; plus, she felt that a declaration of support for the Zionist cause would bring America into World War I. "I have the pleasure in conveying to you, on behalf of His Majesty's Government, the following declaration of sympathy with the Jewish Zionist aspirations which have been submitted to, and approved by, the Cabinet. His Majesty's Government views with favour the establishment in Palestine of a national home for the Jewish people, and will use our best endeavors to facilitate the achievement of this object, it being clearly understood that nothing shall be done which may prejudice the civil and religious rights of existing non-Jewish communities in Palestine, or the rights and political status enjoyed by Jews in any other country." I find it highly interesting that Rothschild received this memorandum, because his family has been the greatest supporter of the coming New World Order of Antichrist since 1793! Further, you can easily see how clearly Illuminist the funding of the Zionist effort was, beginning in 1897. The Illuminati was literally buying Israel back from the Arabs, parcel by parcel. Worldwide Jewry funding for this project was enormous. The Balfour Declaration, and was the first major step toward establishing Israel as a nation. For the first time in the past 2,000 years, a major nation committed itself to the re-birth of Israel. However, after the Great War, Britain attempted to distance herself from the Balfour Declaration, leading to much unrest and fighting in the region between Arabs and Jews. World War II was the ultimate war that produced the nation of Israel. An Illuminist leader, Adolf Hitler, arose in Germany, promising to end the humiliation suffered at the hands of the Allies, and to restore German might and influence. Hitler also published a book entitled, Mein Kampf, "My Struggle", in which he promised to annihilate all Jews throughout the world, and to engulf all Europe in the war needed to establish the Greater Germany he felt he needed to establish the perfect Aryan race. From the beginning of his government, Hitler set out to draw up precise plans to eradicate the Jews. We call this effort the Holocaust. From 1933-1938, Hitler began to issue various degrees and laws that systematically set the Jew up for persecution, even stripping them of their German citizenship in 1935. But, the Holocaust officially began on November 9-10, 1938, during a night called Kristallnacht, during which virtually all synagogues in Germany were destroyed. Soon after, the Nazis began confiscating property owned by Jews and imprisoning Jews in concentration camps. After the outbreak of World War II on September 1, 1939, Hitler began the official extermination program, an effort that ended only in May, 1945, when the Allies liberated the last of the death camps. I have often found it interesting that Hitler's Holocaust lasted almost 7 years [2,376 days] 11/9/38 to 5/6/45; the true Antichrist will deal with Israel for exactly 7 Jewish years [2,530 days]. Jewish immigration to their Promised Land increased heavily during World War II, as Jews sought to flee Hitler. However, both American and British governments set up such formidable roadblocks to immigration that they kept the numbers lower than they would have been. After the war ended, the influx of Jews into Israel became a flood. The horror in Western countries over the Holocaust set in motion a chain of events in which the United States, now under the leadership of President Truman, firmly backed the re-birth of Israel. This re-birthing took place under the auspices of the United Nations, thus demonstrating once again the Illuminist backing for this national restoration. On May 14, 1948, Israel became a nation once again; after 1,900 years of not having a state, she came back to life again in a "single day", as prophesied [Zechariah 3:9]. The Second World War resulted in widespread destruction and suffering at the cost of many millions of lives. In addition, millions of others (notably Jews and Poles) died in Nazi death camps. Famines and illnesses swept the world as a result of this war; while not as many people died of these causes as in World War I, the death toll was still staggering. Earthquakes also began a steady rise in both numbers and intensity, in each decade, from the 1920-1940's. Thus, you can see that the first baby to be born, the nation of Israel, was born with exactly these type of birth pangs -- spiritual deception, wars, rumors of wars, famines, earthquakes. God is true to His Word! Not only was Israel born again as a nation, but she was brought back in unbelief, just as God foretold in Ezekiel 37:8d, "there was not spirit or breath ...". God prophesied Israel would come back in unbelief, in either Him or His Son, Jesus. One of the major goals of the Tribulation Period is to produce a nation that believes in Jesus by the time He returns at the Slaughter of Armageddon. A major part of producing this Christian nation is to allow Antichrist to kill two-thirds of the Jews [all unbelieving, Zechariah 13:8], while God protects the one-third believing remnant [Revelation 12:13-17]. This conversion of one-third of the Jewish population will not begin until after the Rapture of the Christian Church, the work of the 144,00 Jewish evangelists [Revelation 7:2-8], and the testimony of the two Witnesses who will be standing in front of the Temple Mount for the first 1,260 days of the Tribulation Period, faithfully proclaiming the Gospel of Jesus Christ. But, when Jesus returns, he finds an Israel in which the only people still living are the protected Christian remnant. Thus, the Apostle Paul could confidently say, "And so all Israel shall be saved .." [Romans 11:26] Jesus will find, as He returns, fulfillment of the prophecy in Zechariah 12:10b, "They shall look earnestly upon Me Whom they have pierced, and they shall mourn for Him ..." [Parallel Bible, KJV/Amplified Bible Commentary]. THE BIRTH OF THE ANTICHRIST "BABY"
Now, let us examine the birth of the next "baby" of Matthew 24, the Antichrist. Jesus suddenly begins speaking, in verse 15, of the Antichrist going into the Temple -- obviously the rebuilt Third Temple -- and desecrating it so thoroughly that he creates the "Abomination That Makes Desolate". God is so angry after this blasphemous act, and speech within the Holy of Holies that He begins to pour out His wrath anew and with greater intensity. This abomination will occur at the half-way point of the 7-year Tribulation Period, Day number 1,260. For some reason, Jesus Christ skips over the appearance of Antichrist in Matthew 24. However, He tells us about the appearance of this Man of Sin in Revelation 6:1-2. "And I saw when the Lamb opened one of the seals, and I heard, as it were the noise of thunder, one of the four beasts saying, Come and see. And I saw, and behold a white horse: and he that sat on him had a bow; and a crown was given unto him: and he went forth conquering, and to conquer." Wars and rumors of wars -- to the highest degree possible. 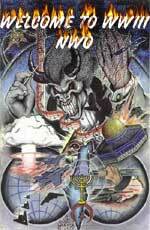 The Illuminati has been planning a World War III since 1870 [Read NEWS1056 and NEWS1057 for full details]. Literally, out of the smoke, destruction, and death caused by this Third World War, Antichrist will come striding, displaying enormously effective "lying signs and wonders". Famines will occur as the result of this war, probably in Third World countries. Much of the famine may be the result of this coming Third World War. Earthquakes can now be created by HAARP and Scalar Weapons technology [Read our many articles and other resources for full details on the current capabilities of Weather Warfare in our Weather Control Section. Notice especially the confirmation from the NBC Weather Anchorman, Scott Stevens, who uses his understanding of how weather is controlled to better forecast -- His site is: Weather Wars]. 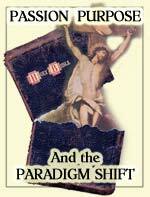 American Christians have been misled by the numerous traditional teachers of Biblical prophecy. As we detail in NEWS1935, many key details of prophecy taught by traditional teachers of today are not based upon Scripture, but on their "private interpretation". In addition to the false teachings we detail in NEWS1935, we believe that they have mislead Christians on yet another issue: they promise us that we will not have to worry about all the wars, famines, natural disasters, and the plagues contained within the Book of Revelation. They are partially right. We will be Raptured before the 7-Year Tribulation Period begins, which is when Antichrist confirms the Covenant with Israel's leaders [Daniel 9:27). Thus, we Christians heave a sigh of relief, thinking that we will be spared all trouble and sorrow, and panic. We walk out of the traditional Bible prophecy conference thinking we will be living normally, in clover one day, be Raptured the next day, and then all these terrible judgments fall the day after that. What traditional Bible prophecy teachers do not tell you is that we Christians may very well have to go through the final Birth Pains of Matthew 24, where all of the prophesied signs Jesus gave will be intensified so greatly as to produce the "birth", the appearance of Antichrist! Get ready, fellow soldiers of the Cross. The end of the birthing process to produce Antichrist is right straight ahead of us. When you see Israel going to war with her immediate Arab neighbors, you will know old earth has just hit its Titanic-type iceberg, and our eventual sinking is both inevitable and just a short time ahead.